Bastille Day Festival. July 14, 2018. Portland, OR. 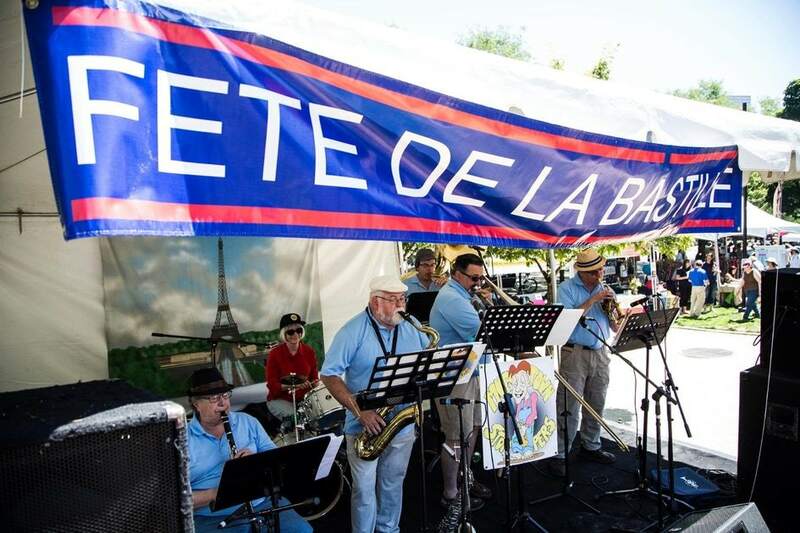 The West Coast’s largest Bastille Day celebration will take place on Saturday, July 14, from noon to 6:00 p.m. at Jamison Square in the Pearl. The Saturday festival is free and open to the public and has attracted as many 8,000 participants in years past. The popular Portland Waiters Race returns to Bastille Day and will start at 2:00 pm. Racers will be competing for $2000 in prizes, mostly cash! French-themed menu options will be plentiful from popular and unique restaurants including the Kasbah Moroccan Cafe, Olympic Provisions, St Honoré Bakery, C’est and Ruby Jewel Ice Cream. The popular wine & beer garden in Jamison Square will feature specialty cocktails from diamond sponsor, Hardy Cognac. You’ll also enjoy refreshing beers and wines.